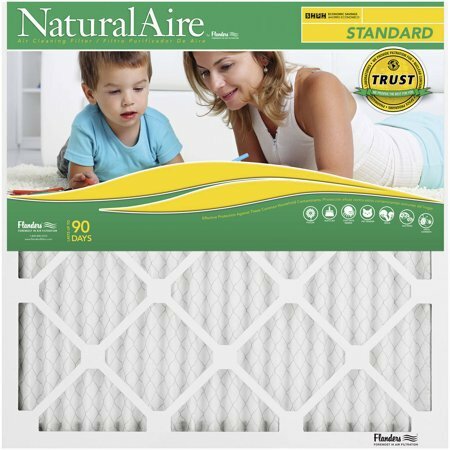 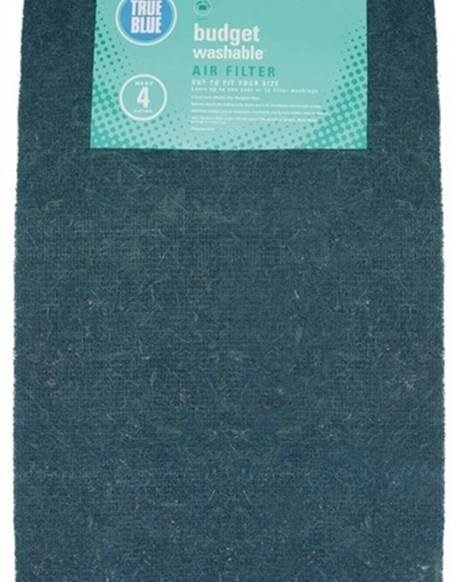 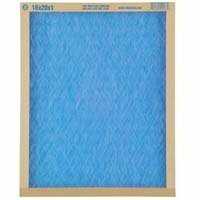 (Open Box)FLANDERS� MERV 8 PRE-PLEAT 40 LPD STANDARD-CAPACITY ECONOMY AIR FILTER, 14X14X1 IN. 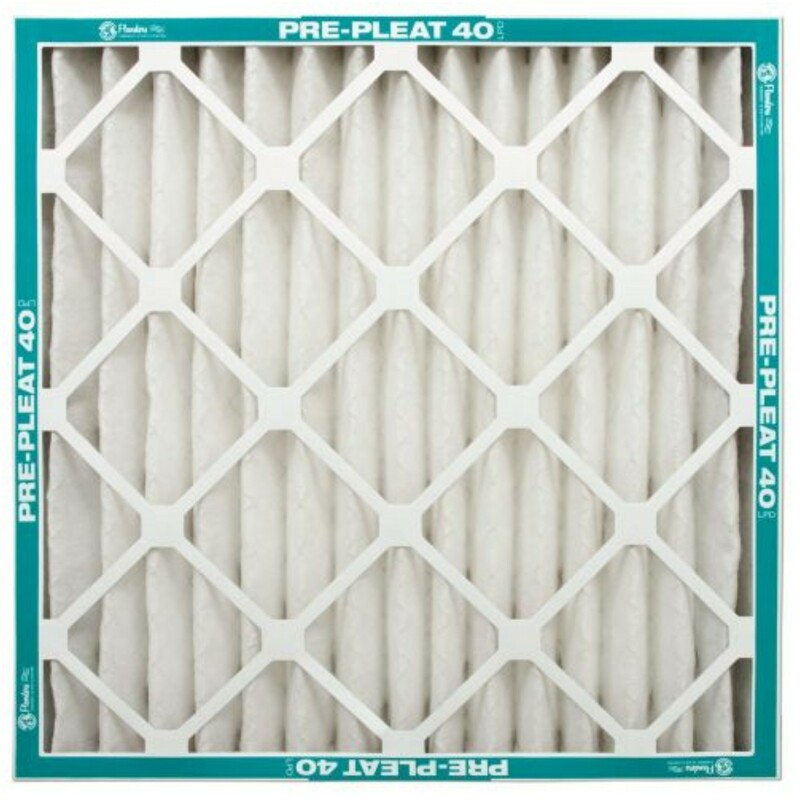 (Open Box)FLANDERS� MERV 8 PRE-PLEAT 40 LPD STANDARD-CAPACITY ECONOMY AIR FILTER, 14X14X1 IN. 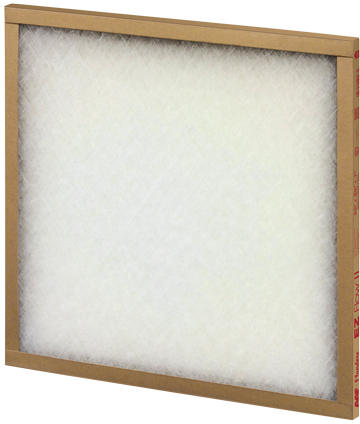 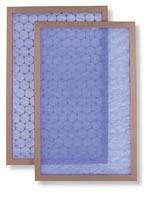 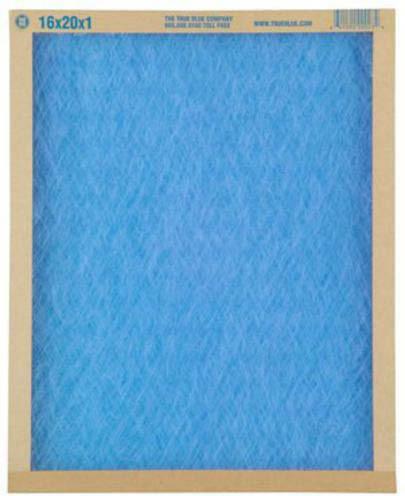 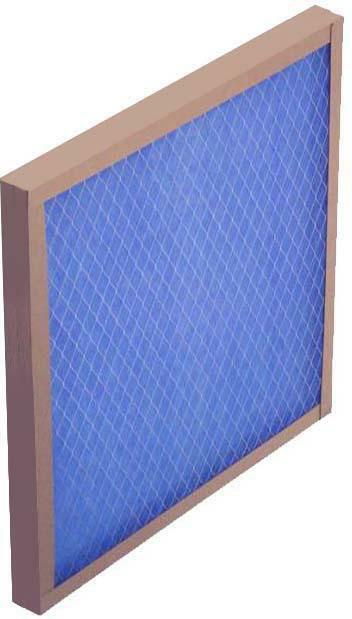 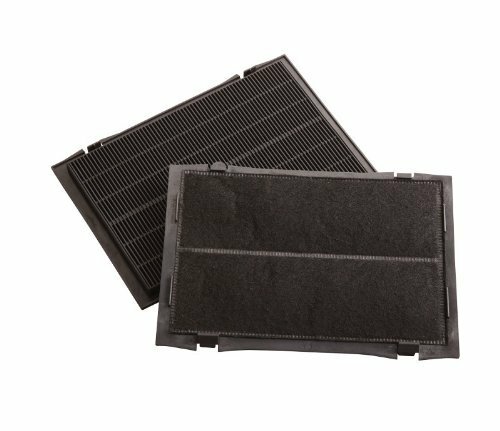 BUDGET WASHABLE FURNACE FILTER Washable air filter designed to filter - large particles like dust and dirt Will last for up to 1 year with monthly washings Cut to desired size to protect furnace - and air conditioning equipment Rigid, self-supporting, latex coated - organic material with scrim backing Minimum Efficiency Reporting Valve (MERV) of 4 0120301 20X30X1 AIR FILTER SIZE:20"x30"x1"
TRUE BLUE FIBERGLASS 1" AIR FILTER Fiberglass air filter for furnaces and - air conditioning systems Economy quality filter - MERV 2 rating Filter life - 30 days Blue fiberglass 110201 10X20X1 AIR FILTER SIZE:10" x 20" x 1"
TRUE BLUE FIBERGLASS 1" AIR FILTER Fiberglass air filter for furnaces and - air conditioning systems Economy quality filter - MERV 2 rating Filter life - 30 days Blue fiberglass 112201 12X20X1 AIR FILTER SIZE:12" x 20" x 1"
TRUE BLUE FIBERGLASS 1" AIR FILTER Fiberglass air filter for furnaces and - air conditioning systems Economy quality filter - MERV 2 rating Filter life - 30 days Blue fiberglass 112241 12X24X1 AIR FILTER SIZE:12" x 24" x 1"
TRUE BLUE FIBERGLASS 1" AIR FILTER Fiberglass air filter for furnaces and - air conditioning systems Economy quality filter - MERV 2 rating Filter life - 30 days Blue fiberglass 112251 12X25X1 AIR FILTER SIZE:12" x 25" x 1"
TRUE BLUE FIBERGLASS 1" AIR FILTER Fiberglass air filter for furnaces and - air conditioning systems Economy quality filter - MERV 2 rating Filter life - 30 days Blue fiberglass 112301 12X30X1 AIR FILTER SIZE:12" x 30" x 1"
TRUE BLUE FIBERGLASS 1" AIR FILTER Fiberglass air filter for furnaces and - air conditioning systems Economy quality filter - MERV 2 rating Filter life - 30 days Blue fiberglass 114241 14X24X1 AIR FILTER SIZE:14" x 24" x 1"
TRUE BLUE FIBERGLASS 1" AIR FILTER Fiberglass air filter for furnaces and - air conditioning systems Economy quality filter - MERV 2 rating Filter life - 30 days Blue fiberglass 114251 14X25X1 AIR FILTER SIZE:14" x 25" x 1"
TRUE BLUE FIBERGLASS 1" AIR FILTER Fiberglass air filter for furnaces and - air conditioning systems Economy quality filter - MERV 2 rating Filter life - 30 days Blue fiberglass 114301 14X30X1 AIR FILTER SIZE:14" x 30" x 1"
TRUE BLUE FIBERGLASS 1" AIR FILTER Fiberglass air filter for furnaces and - air conditioning systems Economy quality filter - MERV 2 rating Filter life - 30 days Blue fiberglass 115201 15X20X1 AIR FILTER SIZE:15" x 20" x 1"
TRUE BLUE FIBERGLASS 1" AIR FILTER Fiberglass air filter for furnaces and - air conditioning systems Economy quality filter - MERV 2 rating Filter life - 30 days Blue fiberglass 116161 16X16X1 AIR FILTER SIZE:16" x 16" x 1"
TRUE BLUE FIBERGLASS 1" AIR FILTER Fiberglass air filter for furnaces and - air conditioning systems Economy quality filter - MERV 2 rating Filter life - 30 days Blue fiberglass 116201 16X20X1 AIR FILTER SIZE:16" x 20" x 1"
TRUE BLUE FIBERGLASS 2" AIR FILTER Fiberglass air filter for furnaces and - air conditioning systems Economy quality filter - MERV 2 rating Filter life - 30 days Blue fiberglass with mesh grid which - supplies strength to filter 116202-1 16X20X2 AIR FILTER SIZE:16" x 20" x 2"
TRUE BLUE FIBERGLASS 1" AIR FILTER Fiberglass air filter for furnaces and - air conditioning systems Economy quality filter - MERV 2 rating Filter life - 30 days Blue fiberglass 116251 16X25X1 AIR FILTER SIZE:16" x 25" x 1"
TRUE BLUE FIBERGLASS 2" AIR FILTER Fiberglass air filter for furnaces and - air conditioning systems Economy quality filter - MERV 2 rating Filter life - 30 days Blue fiberglass with mesh grid which - supplies strength to filter 116252-1 16X25X2 AIR FILTER SIZE:16" x 25" x 2"
TRUE BLUE FIBERGLASS 1" AIR FILTER Fiberglass air filter for furnaces and - air conditioning systems Economy quality filter - MERV 2 rating Filter life - 30 days Blue fiberglass 118181 18X18X1 AIR FILTER SIZE:18" x 18" x 1"
TRUE BLUE FIBERGLASS 1" AIR FILTER Fiberglass air filter for furnaces and - air conditioning systems Economy quality filter - MERV 2 rating Filter life - 30 days Blue fiberglass 118241 18X24X1 AIR FILTER SIZE:18" x 24" x 1"
TRUE BLUE FIBERGLASS 1" AIR FILTER Fiberglass air filter for furnaces and - air conditioning systems Economy quality filter - MERV 2 rating Filter life - 30 days Blue fiberglass 118251 18X25X1 AIR FILTER SIZE:18" x 25" x 1"
TRUE BLUE FIBERGLASS 1" AIR FILTER Fiberglass air filter for furnaces and - air conditioning systems Economy quality filter - MERV 2 rating Filter life - 30 days Blue fiberglass 120201 20X20X1 AIR FILTER SIZE:20" x 20" x 1"
TRUE BLUE FIBERGLASS 2" AIR FILTER Fiberglass air filter for furnaces and - air conditioning systems Economy quality filter - MERV 2 rating Filter life - 30 days Blue fiberglass with mesh grid which - supplies strength to filter 120202-1 20X20X2 AIR FILTER SIZE:20" x 20" x 2"
TRUE BLUE FIBERGLASS 1" AIR FILTER Fiberglass air filter for furnaces and - air conditioning systems Economy quality filter - MERV 2 rating Filter life - 30 days Blue fiberglass 120221 20X22X1 AIR FILTER SIZE:20" x 22" x 1"
TRUE BLUE FIBERGLASS 1" AIR FILTER Fiberglass air filter for furnaces and - air conditioning systems Economy quality filter - MERV 2 rating Filter life - 30 days Blue fiberglass 120241 20X24X1 AIR FILTER SIZE:20" x 24" x 1"
TRUE BLUE FIBERGLASS 1" AIR FILTER Fiberglass air filter for furnaces and - air conditioning systems Economy quality filter - MERV 2 rating Filter life - 30 days Blue fiberglass 120251 20X25X1 AIR FILTER SIZE:20" x 25" x 1"
TRUE BLUE FIBERGLASS 1" AIR FILTER Fiberglass air filter for furnaces and - air conditioning systems Economy quality filter - MERV 2 rating Filter life - 30 days Blue fiberglass 120301 20X30X1 AIR FILTER SIZE:20" x 30" x 1"
TRUE BLUE FIBERGLASS 1" AIR FILTER Fiberglass air filter for furnaces and - air conditioning systems Economy quality filter - MERV 2 rating Filter life - 30 days Blue fiberglass 122221 22X22X1 AIR FILTER SIZE:22" x 22" x 1"
TRUE BLUE FIBERGLASS 1" AIR FILTER Fiberglass air filter for furnaces and - air conditioning systems Economy quality filter - MERV 2 rating Filter life - 30 days Blue fiberglass 124241 24X24X1 AIR FILTER SIZE:24" x 24" x 1"